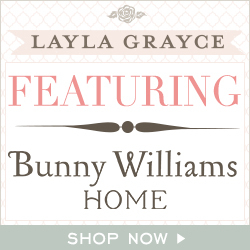 Picket Fence Design: Pier 1 Finds - Mirrors! 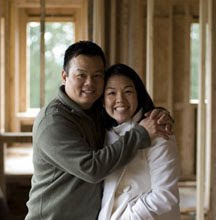 it would give to any room. Window Mirror on clearance for $99. This one is a steal! 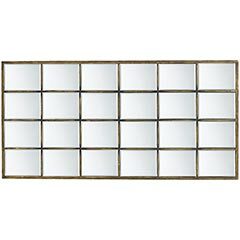 Pottery Barn's Eagan Multipanel Mirror is similiar and is $699. This would be great on its own or layered on a mantel. Here's another show stopper at a great price! 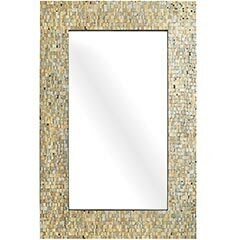 Venetian Dots Mirror on clearance for $99. 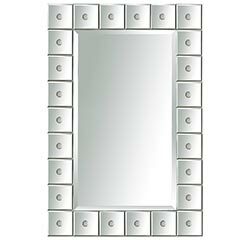 Z Gallerie's Simone mirror is very similiar, but smaller and sells for $199. 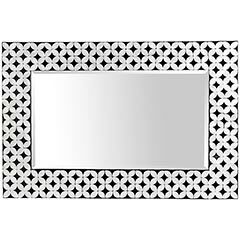 Capiz Mirror, on sale for $159. This one might be my favorite. 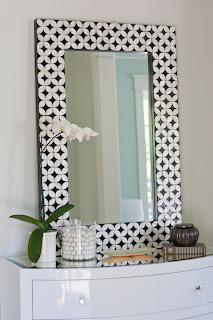 and the graphic pattern on this mirror is stunning. 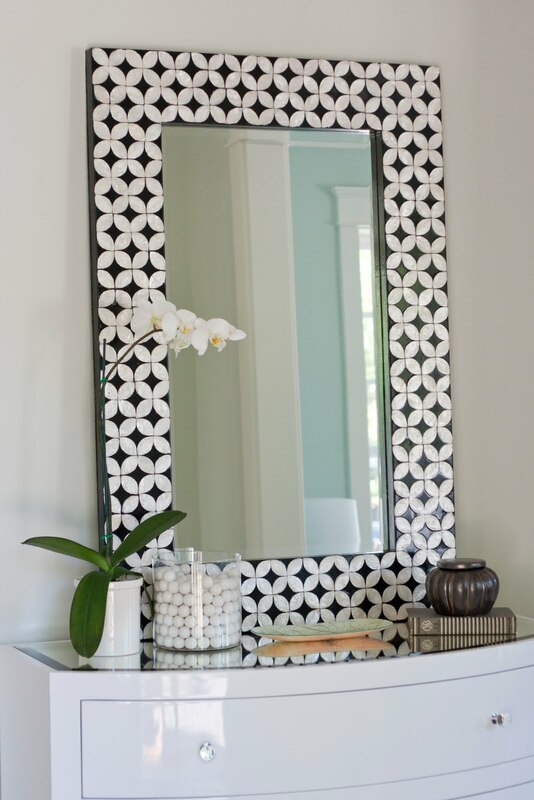 Here's the capiz mirror featured in a room designed by Caitlin Creer Interiors. Love it even more now!